The Women’s Holiday Centre was set up in 1979 following discussions between women from Gingerbread, Women’s Aid, Social Services, the Citizens Advice Bureaux and mental health organisations. 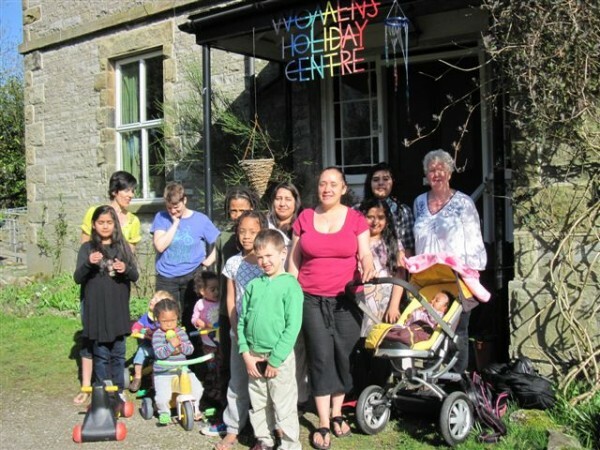 An acute need was identified for low price holiday accommodation, in a friendly and supportive environment, for women and children who were otherwise restricted by their circumstances. There was an initial large donation of £30,000 from a woman who had been bequeathed a house, but wanted the money to be used to buy a property which would offer safe holidays, in a friendly environment, to women and children. She did not want to take individual control over decisions, and was an equal member of the group that came together, raised further funds, and decided the criteria for a suitable property. Eventually the Old Vicarage was purchased in Horton-in-Ribblesdale (at a church auction!) in 1980, and change of use and planning consents were agreed. Many women’s hours were put into making the house what it is today, and the first visitors stayed at the house in May 1981. Since then thousands of women, children and groups have used the house and it has become a well-established and well-used resource for women in the north of England and beyond. The House has been sustained successfully since then through a combination of income from visitors, donations and fundraising, and many hard working volunteers. It has benefited from the commitment of hundreds of women who have invested their time and energy voluntarily to maintain the fabric of the house and take on the managerial responsibilities of running it. The house is owned and run as a co-operative. The house also has a group of volunteers on the Management Committee who meet regularly to make decisions about house issues and employment. ‘Friends of Horton‘ are women who support the house in ways other than through the MC or the Co-op, possibly through house-sitting, work weeks, gardening or other specific projects. The women you will see most of are the two full-time workers, who are responsible for the day-to-day running of the house, keeping it warm and welcoming, and making sure that all guests have a chance to enjoy their stay. Workers are employed for a maximum of three-years, and so there is a regular need to recruit women for this post. If you think this is something you might like to do, please talk to a worker, or see our workers page. Hi Joyce, thank you for sharing your story! Would you like to call us on 01729 860207, or email info@hortonwhc.org.uk – we will try to put you in touch with some people in the village who are likely to know more.